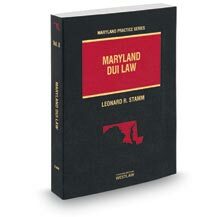 A driver cannot drive on Maryland roads while their driver's license or privilege to drive in Maryland is suspended, revoked, canceled, or refused. Driving on revoked carries a maximum penalty of one year in jail and/or a $1000 fine. A conviction would also result on 12 points. The maximum penalty for driving on suspended depends on the reason for the driver's suspension. If a driver's license is suspended for failing to appear in court or failing to pay a fine then the maximum penalty is 60 days in jail and/or a $500 fine. If convicted, the driver will receive three points. If the driver's license is suspended for any other reason (e.g. child support, point system suspension, alcohol related suspension...etc.) then the maximum penalty is one year in jail and/or a $1000 fine. If convicted the driver will receive 12 points. In order for a driver to be convicted of driving on suspended or revoked the State must show that the driver was driving a motor vehicle on a highway or private property used by the public in general, and that at the time of the offense the driver had actual knowledge of the suspension, revocation, cancellation, or refusal. Knowledge may also be shown by either deliberately avoided knowing about it, or being willfully blind to the suspension or revocation. In many cases, there are viable factual and/or legal defense to the charges of driving while suspended and driving while revoked. The lawyer's duty is to zealously pursue the interest of the client within the rules of ethics and the law, to achieve the best possible result for the client. In Maryland, it is important to see a lawyer AS SOON AS POSSIBLE after receiving these charges, to fully protect your rights. An attorney can not only help prepare your defense but also guide you through the process of clearing up your driver's license or privilege to drive. Call 301-345-0122 for a FREE consultation.